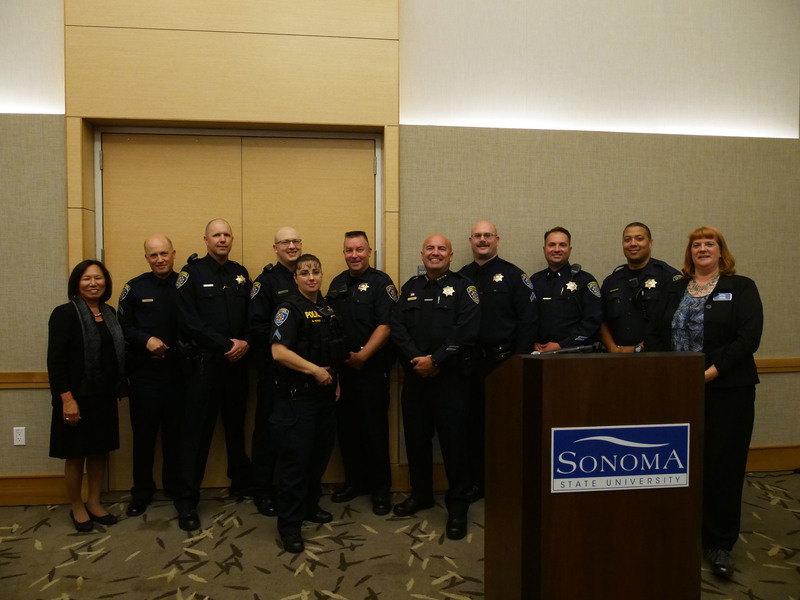 (ROHNERT PARK) David B. Dougherty, a 13-year veteran of the Sonoma State Police Department, was officially sworn in Thursday as the university’s new police chief, overseeing a department of 14 sworn officers who provide police protection 24 hours a day, seven days a week for the college. 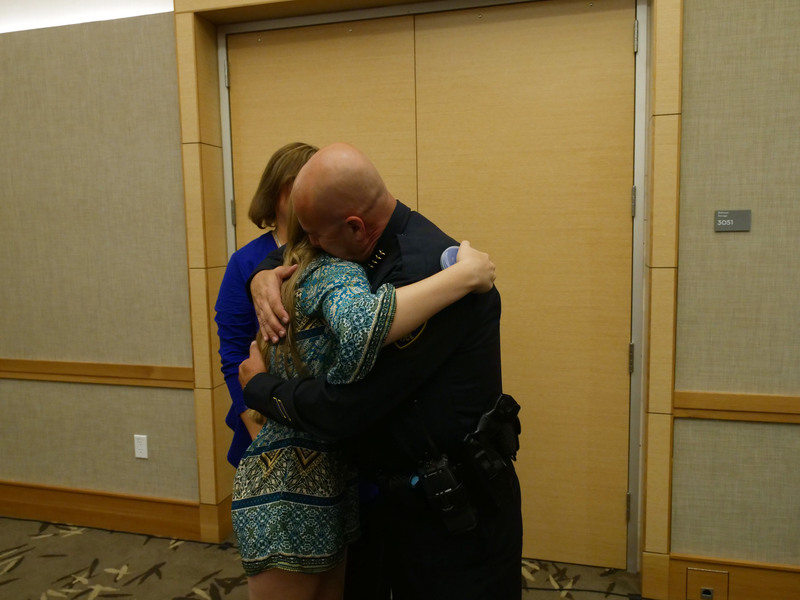 Dougherty, who had served as SSU’s interim chief since May 2016, was officially named to the position by President Judy K. Sakaki last month. 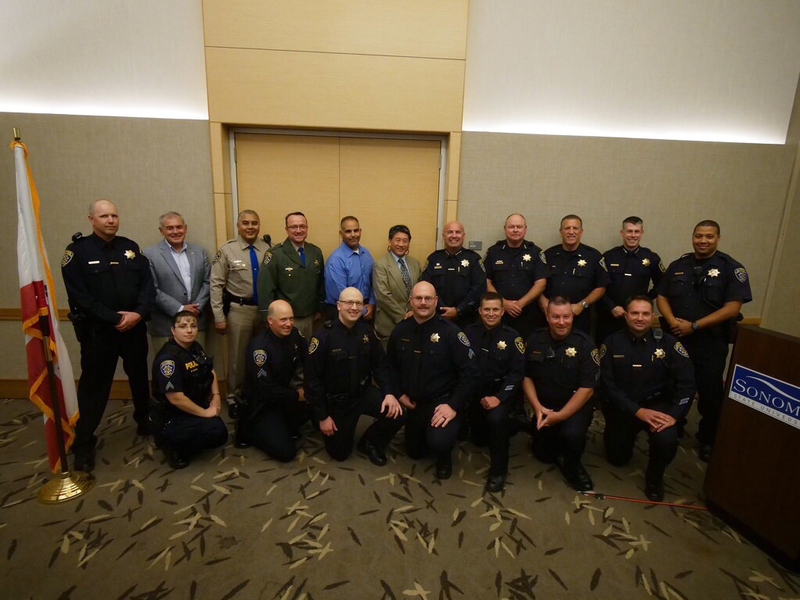 Along with Dougherty’s family and friends, police representatives from numerous California State University campuses and surrounding communities were in attendance along with members of the President’s Cabinet including Provost Lisa Vollendorf and Joyce Lopes, vice president of administration and finance and the campus’ chief financial officer. 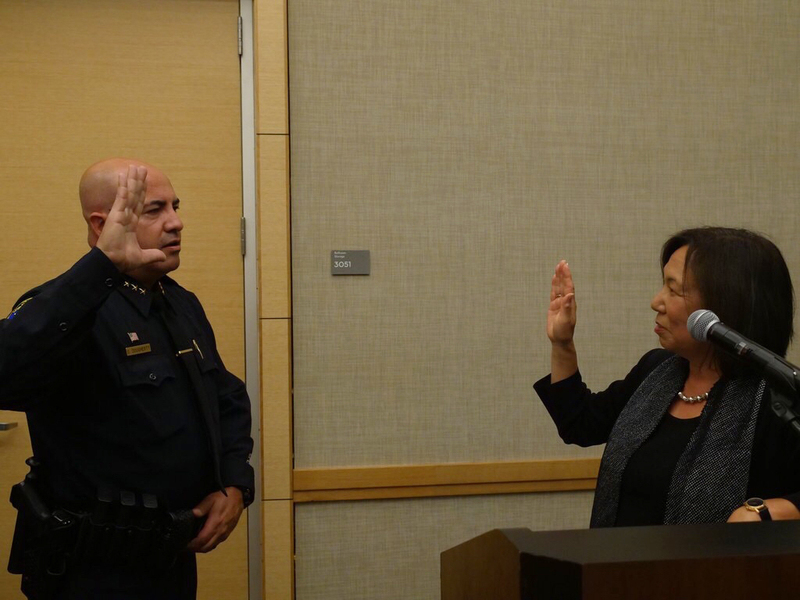 Dougherty’s experience includes eight years of working in management within the civilian private sector. He has served Sonoma State with distinction as a law professional since 2005. 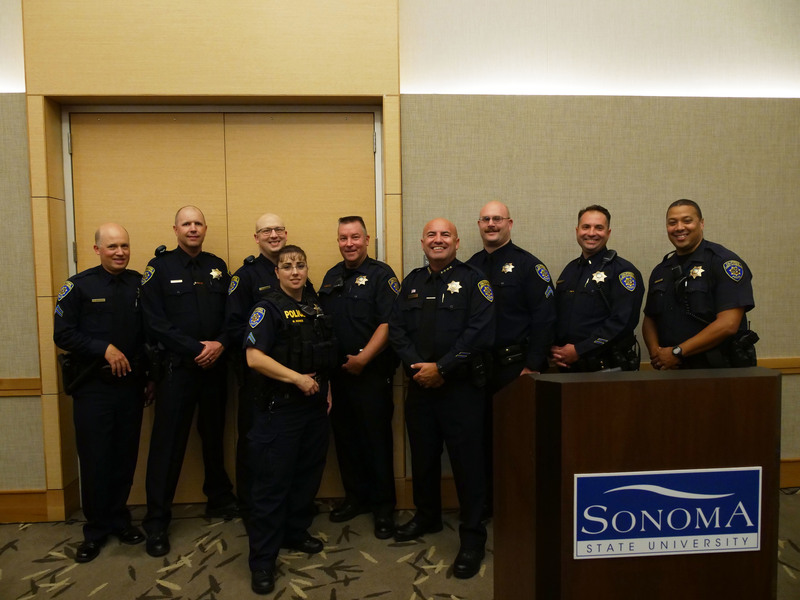 A former captain within the campus police department, Dougherty will lead the largest campus based police force in Sonoma County. He and his department will oversee a university that is 270 acres in size and, during weekdays, becomes the fifth largest city in the county, with nearly 10,000 students and more than 1,500 faculty and staff members. “We have many challenges ahead of us. But, I see these challenges as opportunities. Opportunities to work together, as we provide our community with a safe place to learn, live, work and visit,” said Dougherty.